6 days and 5 Nights: Two nights in Shimla and 3 nights in Manali. Pick up from Chandigarh Bus stand / railway station / Airport. Drive to Shimla that is at a distance of 117 Kms from Shimla and will take 2:30 to 3:00 hours to reach. On the way you can enjoy the scenic view of Himalayas from the window of your cab. There is a stopover at Pinjore garden and Timber Trail Resort if time permits. 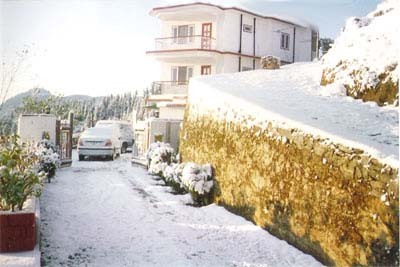 The cab will pass through Kalka, Parwanoo, Barog and Solan on the way to Shimla. Visit to the famous hill spot of Kufri. Get yourself free to enjoy the scenic beauty of Wild Flower Hall, Kufri, Fagu and Indira Gandhi Holiday Home. Enjoy horse/Yak ride in Kufri .In the evening explore Shimla city on foot as vehicle entry is prohibited. You can see prime places of Shimla like Lakkar Bazaar, Ridge, Church, Mall road, Scandal Point, Kali Bari temple etc. It is an ideal time for shopping and eating in various restaurants on the mall road. Travel from Shimla to Manali that is 250 Kms from Shimla and will take 9:00 to 10:00 hours to reach Manali. On the way enjoy the picturesque views of great Himalayan ranges from your cab. Your cab will move along with twisty Beas River that offers you a wonderful view of sparkling water. On the way to Manali you can stop a while at Pandoh and see the Pandoh dam built on River Beas. Visit to years old Hadimba Devi Temple that is built in tranquil and serene woods. After that proceed toward famous Tibetan monastery, Club House, Vanvihar and Vashisht village that is known for its hot Sulphur springs. In the evening you are free to roam on the mall road and best time for shopping. You can purchase famous Kullu shawls and other gift items. Morning proceed toward famous place Rohtang Pass where you can enjoy snow fall all twelve months of year. The majesty of the mountains and the glaciers can be seen at their best. You can also enjoy the sledge ride down the slopes and try luck by climbing the little snow hills. On descending to Manali, halt at the Rahalla falls and Solang Valley. The Magnificent views and natural beauty are a never-ending source of delight. Also halt at Marhi, Ralha falls and Nehru Kund and enjoy the panoramic views of Himalayan ranges. Travel to Chandigarh from Manali that is at a distance of 310kms and will take 9:00 to 10:00 hours to reach Chandigarh. The cab will Drop you at Chandigarh Bus stand / Railway station / Airport according to your preferred place. Note: If you want to add one extra day in your tour than sight seeing of Manikaran will be included in your tour package. Manikaran is located in the Parvati valley between the River Beas and northeast of Bhuntar in the Kullu district of Himachal Pradesh.